Let’s face it, flooding emergencies are relatively common events that can occur at anytime in a home. Being prepared can make the difference between cleaning up a little mess and paying a significant amount of money out on an expensive laundry room flood problem. Regardless to the situation, it is essential that the homeowner and their families know what to do so that they can recover quickly. When an individual is dealing with a washing machine that is overflowing, one of the first things that they will need to concentrate on is the family’s safety. Because the water from a washing machine overflow can flood dangerous areas electrical places in the home, the owner or a family will need to cut off the electrical power. To prevent electrical shock, the person should cut it off at the fuse box or circuit breaker. Additionally, because this water is normally slippery from all of the suds, people should make sure that they are taking the necessary precautions to keep from slip and falling. No one wants to add to this problem by having to make a trip to the hospital. Sometimes this kind of problem may be relatively simple to resolve. This is normally in cases where the hose on the machine is too loose. Therefore, all the person has to do is tighten the hoses up prior to turning the machine back on. If the problem that the owner is experiencing is not easy to identify, there are some best practices that can be used to stop the flooding. For instance, the owner should avoid cramming too many clothes in the machine because unbalanced loads can present significant problems. In some cases, the owner may not know why the problem has occurred, so they will need to contact an appliance repairman to do the job. In some situations, the owner of the home may not discover the problem until it is too late to prevent damage to other floors in the home. When this happens, the family will need to react quickly to avoid unnecessary water damage from the flooding. For instance, if there is a lot of water, the owner may need to contact an outside agency that specializes in water damage services. In any water damage situation call a restoration company immediately. SteamMaster is a 24-hour emergency restoration company serving 9 counties. A live person will answer the phone at 970-827-5555 when you call. 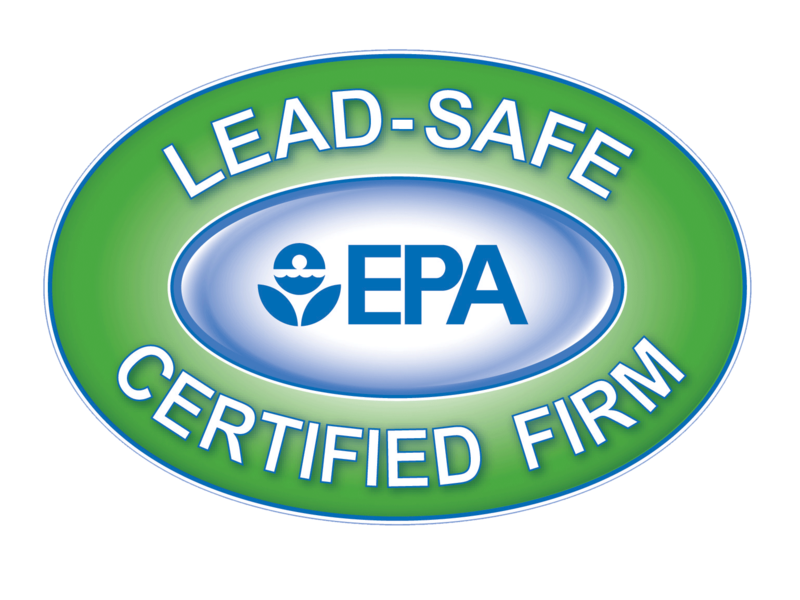 We highly recommend reading the EPA’s Renovate Right Brochure: http://www.epa.gov/lead/pubs/renovaterightbrochure.pdf to learn about safely renovating if lead is determined to be present. Keeping your home and property secured and safe is a necessity all year round. However, prior to winter the need to place additional safety measures is crucial. If left unchecked or neglected, the consequences can be dangerous and costly. We are sure you are very used to the winter drill and have attended to many of the tips below. Cross-reference the checklist and attend to the necessary. • Wash spray equipment, such as sprinkler or hose and store it away. • Clean out gutters. Remove leaves and other debris from drainpipe and gutters. • Check the furnace and flue in good working condition. • Dust vents and change furnace filters, if there is a blower, have it cleaned and oiled. • Have the fireplace inspected for loose mortar. • Ensure the fireplace screen is property secured. • Check for drafts. Inspect windows and doors for cracks and seal them. • Keep all sidewalks and entrances to home free from ice and snow. • Remove dead tree branches. Heavy snow or ice can cause them to break and damage your property or injure someone. • Ensure the home is kept at least 68F while at home or 63F degrees while away to prevent pipes freezing and subsequent water damage. Your right to choose a Restoration Contractor when filing an Insurance Claim! 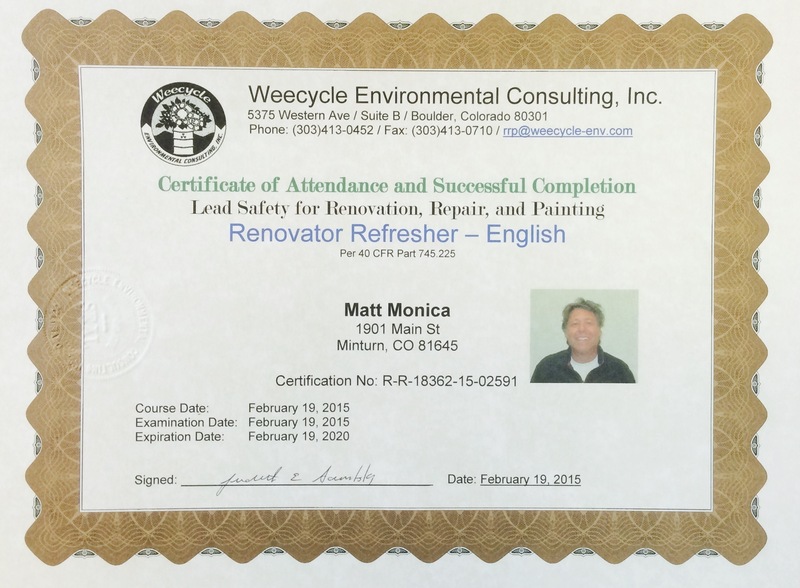 In Colorado you have the right to choose your restoration company! Your carrier cannot steer you to choose a particular company just because they have a corporate agreement to use a franchise or a network. Your carrier cannot steer you to choose but may offer you choices as well as notify you of your right to choose your own Restoration Contractor. On May 17, 2007, Colorado passed a bill allowing YOU the RIGHT TO CHOOSE your Restoration contractor when filing an insurance claim. When deciding which restoration company will suit your needs best, look for a qualified and reputable company, that will stand behind work performed and warranty their services. SteamMaster Restoration and Cleaning, LLC is independently owned and not a franchise. Since 1978 SteamMaster has been serving nine counties including Eagle, Summit, Pitkin, Garfield, Lake, Park, Routt, Grand and Chaffee as well as surrounding areas for the last 34 years. 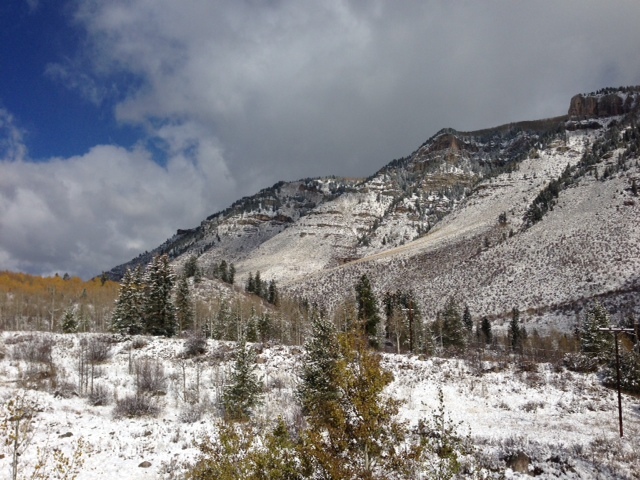 SteamMaster’s world corporate office is locate in 1901 South Main Street in Minturn, Colorado. There are several great water damage restoration companies in California,and Indiana we would recommend. Please visit their respective websites. Concerning referral by an insurance company of an insured to a property repair business, and making an appropriation therefor. 10-4-120. Unfair or discriminating trade practices – legislative declaration. (1) (a) The general assembly determines that competition is fundamental to the free market system and that the unrestrained interaction of competitive forces will yield the best allocation of our economic resources, the lowest prices, the highest-quality commodities and services, and the best environment for democratic and social institutions. Therefore, the right of the individual to choose a repair business is a matter of statewide concern. (IV) Enhance Colorado’s economic development. (c) This section shall be liberally construed so that its beneficial purposes may be served. (i) In the settlement of a liability claim by a third party against a beneficiary or claimant for property damage claimed by the third party, require a third-party claimant to have repairs done by a particular repair business. (g) Disclose to the beneficiary or claimant any ownership interest in, or ownership by or through an affiliation with, a repair business recommended by the insurer when the recommendation is made. (4) An insurer is not required to furnish the notices required by this section more than once to each beneficiary or claimant for each claim. (5) A beneficiary, claimant, or repair business may submit a written, documented complaint to the commissioner alleging a violation of this section. (6) Notwithstanding any other provision of this section, an insurer or its agent shall inform the beneficiary or claimant that he or she may select any repair business of his or her choosing, and if the insurer chooses, the insurer may also inform the beneficiary or claimant that the insurer can provide a list of repair businesses for the beneficiary or claimant to consider. SECTION 2. Repeal. 10-4-618, Colorado Revised Statutes, is repealed. (1) “Beneficiary or claimant” includes an insured person and a third-party claimant. (12) “Repair business” means a business that repairs motor vehicles. SECTION 4. Appropriation. In addition to any other appropriation, there is hereby appropriated, out of any moneys in the division of insurance cash fund created in section 10-1-103 (3), Colorado Revised Statutes, not otherwise appropriated, to the department of regulatory agencies, for allocation to the insurance division, for the fiscal year beginning July 1, 2007, the sum of ten thousand two hundred one dollars ($10,201), or so much thereof as may be necessary, for the implementation of this act. SECTION 5. Applicability. This act shall apply to claims made on or after the effective date of this act. SECTION 6. Safety clause. The general assembly hereby finds, determines, and declares that this act is necessary for the immediate preservation of the public peace, health, and safety. The science of drying involves removing moisture from wet materials and is most effectively performed after collecting atmospheric moisture reading, structural materials temperature readings, and moisture content from both affected and unaffected materials. Penetrating meters work when pins or probes are inserted into materials and work by detecting measurable moisture levels. 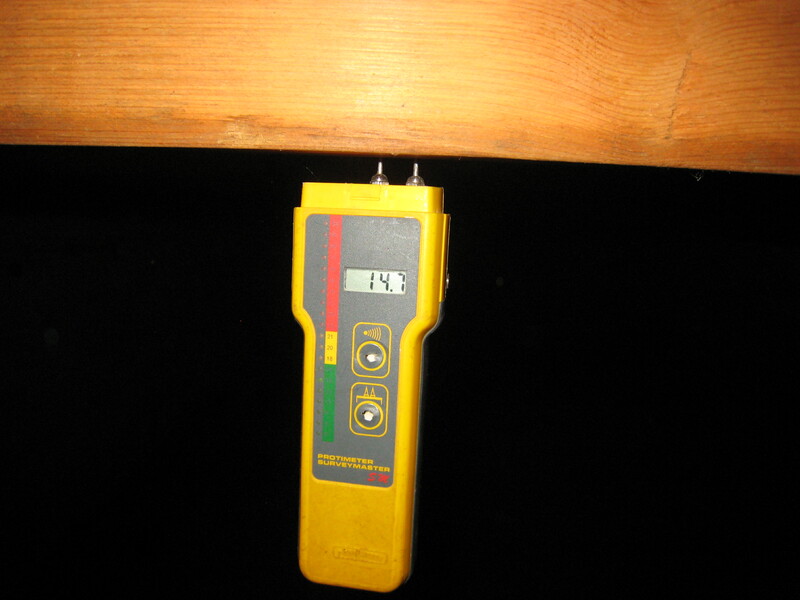 Non-penetrating meters work by detecting moisture levels without penetrating the surface. Some meters operate beyond detecting moisture, the measure surface and air temperatures; relative humidity including grains per pound, vapor pressure, calculate dew point and condensation risks. Humidity probes on some devices can also be used in structural materials such as concrete, masonry and other building materials. Some devices allows wireless on-site monitoring and moisture recording and then data can be downloaded to a computer. 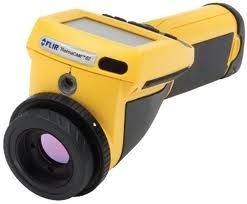 With Infrared thermal imaging cameras can quickly scan and identify the full extent of water and moisture damage at a job site. It allows targeted dry-out efforts and monitor drying progress. Moisture meters provide a reasonably accurate picture of how wet materials are and can be used to established drying trends. This is very important when drying is accelerated with the addition of heat.